Madrid was eliminated in the first round of vote (though tied with Istanbul and needed the vote for tie-breaker). Istanbul was eliminated in the final vote. The vote tally, according to Asahi, was 60 to 36. I'm more curious to know why Madrid and Istanbul lost, rather than why Tokyo won. The UK's Telegraph commented the choice was about "least bad". Some may disagree and ask if that was the case why Madrid was eliminated in the initial round (the country didn't suffer a nuclear accident, and it is far away from Syria). Move on to the next vote, this time in the US Congress on Syria, which may come as soon as Monday. They are: Australia, Canada, France, the U.K., Italy, Japan, Saudi Arabia, South Korea, Spain, Turkey. These nations signed a joint statement that says they "support efforts undertaken by the United States and other countries to reinforce the prohibition on the use of chemical weapons." Spain is not actually a G20 member but "permanent guest". The European Union is against the military strike. We condemn in the strongest terms the horrific chemical weapons attack in the suburbs of Damascus on August 21st that claimed the lives of so many men, women and children. The evidence clearly points to the Syrian government being responsible for the attack, which is part of a pattern of chemical weapons use by the regime. Signatories have consistently supported a strong U.N. Security Council Resolution, given the Security Council's responsibilities to lead the international response, but recognize that the Council remains paralyzed as it has been for two and a half years. The world cannot wait for endless failed processes that can only lead to increased suffering in Syria and regional instability. We support efforts undertaken by the United States and other countries to reinforce the prohibition on the use of chemical weapons. We have contributed generously to the latest United Nations (UN) and ICRC appeals for humanitarian assistance and will continue to provide support to address the growing humanitarian needs in Syria and their impact on regional countries. We welcome the contributions announced at the meeting of donor countries on the margins of the G-20. We call upon all parties to allow humanitarian actors safe and unhindered access to those in need. "The evidence clearly points to the Syrian government being responsible for the attack, which is part of a pattern of chemical weapons use by the regime." They will attack Syria militarily to "send a clear message that this kind of atrocity can never be repeated", even though they are fully aware that "Syria’s conflict has no military solution". One of the keywords here seems to be "clearly". So they are not sure. The word is rather weak to justify bombing a country with 200 Tomahawk cruise missiles and B-2 and B52 bombers. We haven't been shown any credible evidence beyond rebel-supplied youtube videos and a whisper of secret "intelligence" which may or may not have been doctored. A pattern of chemical weapons use by the regime? The UN has said the March 2013 attack was by the so-called rebels with make-shift devices. Minor details, obviously, to Mr. Obama and his global supporters. The images don't give you much confidence and may make you fear for the safety of workers from beta radiation exposure on skin who would be asked to perform this task on potentially over 350 huge tanks. But the beta radiation (measured at 5 centimeter and expressed in 70 micrometer dose equivalent) did go down. 1. 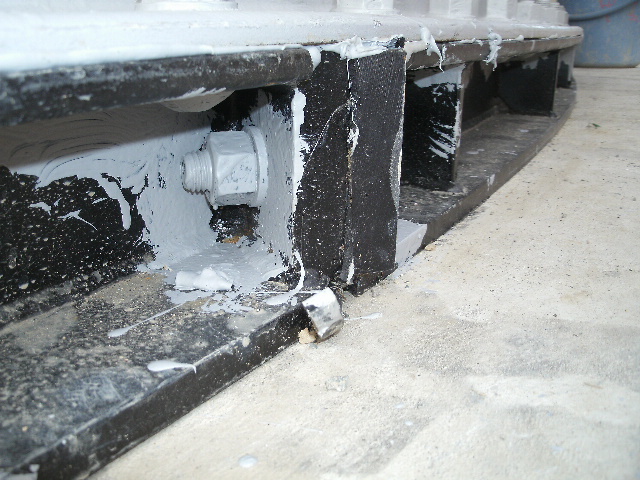 Apply sealing material (which looks like putty) to the flange. 2. Place one to three acrylic sheets (15 x 10 x 1 centimeter). 3. Place two layers of rubber sheets (1.5m x 1m x 3mm) on the concrete (and put sand bags to hold them down). 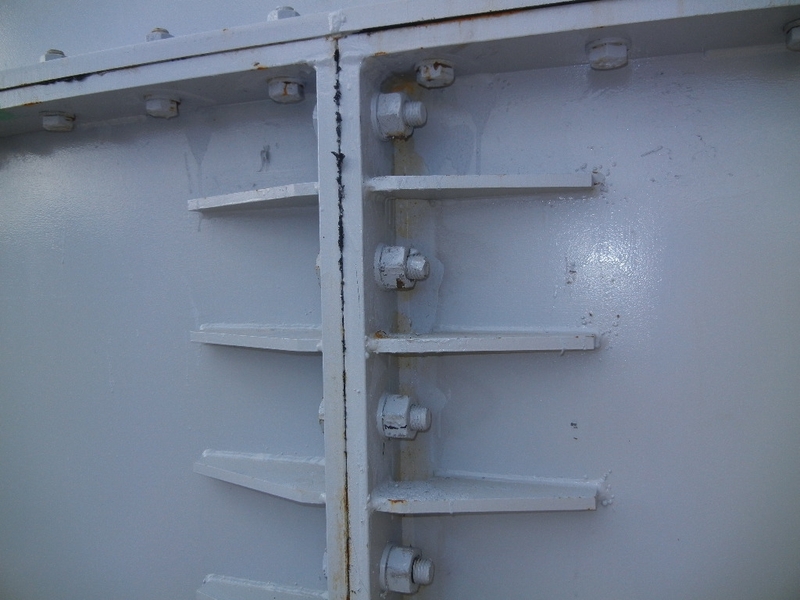 TEPCO has already said they will replace these assembled tanks with the welded tanks, and these measures should be temporary. But in the process of containing the accident and decommissioning somehow, "temporary" measures tend to be permanently temporary until something bad happens. Since the radiation here is almost all beta radiation, if workers are required to do this work of applying putty and placing the acrylic sheets on all high-radiation spots, I'm afraid the radiation exposure could be significant, despite several layers of gloves. TEPCO may be the master of cheap (quasi-)solutions, but that, I'm afraid, is one of the characteristics of the Japanese. I'm sure it is shared by many other peoples in the world, but I've been seeing it repeatedly in the past two and a half years to deal with the nuclear accident and radiation contamination. Construction of impermeable walls by freezing the soil around the reactor/turbine buildings is to be funded by the national government, but the debate among net citizens is almost all about the cost. There are many, supposedly engineers, who are claiming they can do other methods cheaply and quickly at a fraction of the cost of frozen walls. There was a similar argument when AREVA's co-precipitation decontamination system and Kurion's cesium absorption system were first adopted soon after the start of the accident in March 2011. Many Japanese people, scientists, engineers and media questioned why the Japanese government was paying foreign companies a ton of money, and grumbled that an all-Japan team of companies like Hitachi, Toshiba with the help from Japanese scientists and engineers could do the same thing much better and much much cheaper. Hitachi and Toshiba later delivered such systems. Hitachi built the Reverse Osmosis Apparatus that leaked high-beta water to the ocean (March 2012). 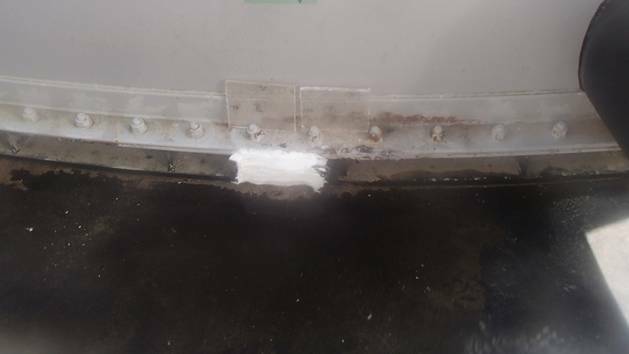 Toshiba built SARRY, which is just as reliable as Kurion and prone to unexpected stoppage and leaks including pinhole leak from corrosion caused by the bad weld. Price tags do not indicate the superiority or inferiority of technologies, of course. For a several seconds after 1:35 into the video. The speed is 20X. It happened on September 5, 2013. 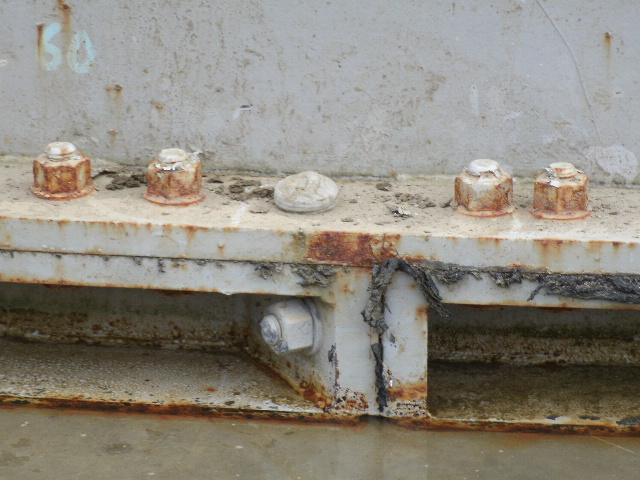 According to TEPCO, the mast has been safely removed using the remote control equipment. But the work took more than 3 and a half hours, from 8:20PM to 11:55PM. (OT) Syria War Justification by Obama Administration: "Our Credibility Is At Stake"
(UPDATE 9/5/2013) To preserve credibility of POTUS and by extension of the world, the US military is preparing not only Tomahawk cruise missile attacks but also intense aerial bombing by B2 (stealth bomber) and B52. See my new post. To preserve credibility, President Obama wants to bomb Syria, while backtracking on his infamous "red line" threat. The US Senate Foreign Relations Committee passed the modified resolution full of holes by 10 to 7, with one Democrat voting "present". The majority of Americans remain opposed to any military attack on Syria, and even President Obama's support base is overwhelmingly against it. So will they do it anyway? President Obama and his Secretary of State have said so a number of times already. The US-trained and armed "Syrian rebels" are marching into Syria, according to the president himself, says UK's Telegraph (9/3/2013), "newspaper paper of record". Why is this mad rush to attack a small country which has been already decimated in 2-year civil war, with 20% of its population as refugees? To preserve Mr. Obama's credibility? Did you hear? Apparently, the United States needs to take military action against Syria – not because it poses an actual threat to the United States (it doesn’t), not because it’s undermining the vital interests of the United States (it isn’t), and not because a strike will topple President Bashar al-Assad (it won’t), but because the U.S. must preserve its “credibility” in the international arena. The argument goes something like this: Last year, President Obama made an off-the-cuff remark about a “red line” in Syria, and said if Assad used chemical weapons in the country’s civil war, that would “change my equation” vis-à-vis his approach toward Syria, even though Obama never explicitly threatened military action. Now that Assad has used chemical weapons, it is incumbent on Obama to strike to make good on this earlier, vague threat. Although Ignatius says that the main reason for a strike “should be restoring deterrence against the use of chemical weapons,” the fact is, the “credibility” argument pervades his thinking, just as it does Obama’s. MoveOn.org announced its opposition to military action in Syria on Tuesday after conferring with supporters. The left-wing organization called on supporters on Tuesday to decide the liberal advocacy group’s position on whether the U.S. should use military force to respond to reports that the Syrian government used chemical weapons. On Wednesday, the results were in — 73 percent of MoveOn.org respondents said the outfit should oppose the congressional authorization to use military force in Syria. “History has shown again and again that even a ‘limited’ military engagement can quickly become a slippery slope to seemingly endless war. But stopping this war is within reach,” MoveOn.org wrote in an email to supporters. MoveOn.org, which also opposed the war in Iraq, is encouraging its members to call their representatives and tell them to vote “no” on the use of military action in Syria. Republican Congressman Matt Salmon says he has received 500 calls from his constituents, and only 2 were in support of military intervention in Syria. Senator Rand Paul says he will filibuster to stall the Senate vote on the war resolution, like he did on the Defense Appropriation Bill over the Obama administration's use of drones. Maybe he could alert more Americans that the US government has been funding and training "Syrian rebels" who are members of Al-Qaeda affiliates and many of whom are not even Syrians. Japan's PM Abe: "Contaminated Water Problem Will Be Gone by 2020 Summer Olympics in Tokyo"
He says his administration is "implementing fundamental, radical measures with decisive resolve", and hopes the rhetoric will win the Olympics for Tokyo. Stereotyped, empty words as Abe seems to use quite often. In the morning of September 4, Prime Minister Shinzo Abe referred to the problem of contaminated water leak at Fukushima I Nuclear Power Plant and said he planned to make an appeal at The International Olympic Committee (IOC) general meeting in Buenos Aires on September 7 that the problem would not affect the 2020 Summer Olympics hosted in Tokyo. He spoke to the press at the Official Residence and said "I'm planning to explain carefully that the national government will be at the forefront, and will completely solve the problem; the government is implementing the fundamental, radical measures with decisive resolve, and there will be no problem at all [hosting the Olympics in Tokyo] 7 years from now in 2020." So far, the "fundamental, radical measures" amount to allocating several tens of billions of yen (tens of millions of dollars) - not much at all considering the money they continue to squander in "decontamination" - to give to large general contractors. It looks to me like the same old, tired method that Japan is famous for. Judging by the all-beta numbers, the leaked waste water (extremely high in beta nuclides but not so much in gamma nuclides) hasn't reached the drains or the ocean in great quantities yet. The highest all-beta reading of 700 Bq/L is at B-3, where the B Drain and C Drain meet. At the ocean at T-2, all-beta is ND. The number to look out for for all-beta is in tens of thousands of becquerels per liter (i.e. number in the order of 1.0E+05 per liter) or higher for the water in the drains. The last time the Reverse Osmosis (RO) waste water leaked from the Reverse Osmosis Apparatus itself and reached the ocean (March 2012), all-beta in the water in the drain reached 86,000 Bq/L. Once it reached the ocean, the contamination was diluted to less than 1/1000, and only 55 Bq/L of all-beta was detected at T-2 location in the diagram above. However, when the water leaked from the Evaporative Condensation Apparatus in December 2011, the number for all-beta was four orders of magnitude bigger for the drain water (1.0E+0.5 per cubic centimeter). So far the number like those hasn't happened. H3 Area is where 1,800 mSv/Hr beta radiation (70 micrometer dose equivalent) was detected on August 31, 2013, setting off a worldwide silly season (here, here and here). Looking at the photos, it would be a wonder if the water was not leaking, although TEPCO actually claims the water didn't leak. Who spec'd this, and who built the tanks? They should be held accountable. 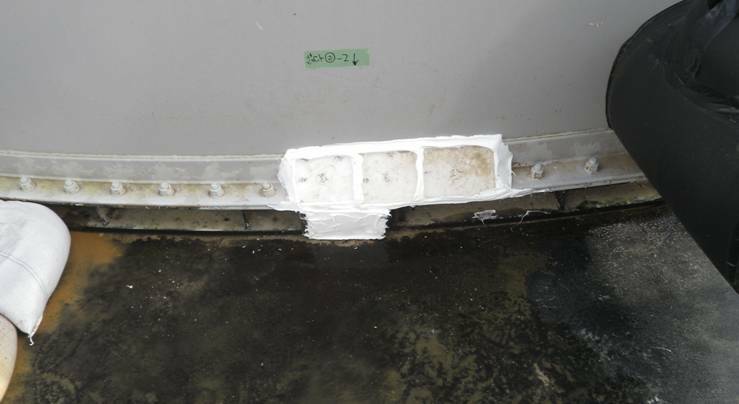 In the accompanying report in PDF, TEPCO seems to be saying it was not leaked water that gave off high beta radiation but packing that extruded as seen in the above photo. Their reasoning is that they didn't find a sign of current and past water leak there, and the concrete floor didn't give off high radiation, therefore it must be the packing. I've heard that the No.5 tank in H4 area is constructed differently from the tanks in other areas, so it is possible that newer tanks have bottom seams and rivets completely covered with water-tight mortar and asphalt. Looking at the third photo above, though, I am not very hopeful. It looks as if the news hasn't reached Dr. Busby yet. In the interview with RT below, he doesn't seem to know "1,800 mSv/Hr radiation" is almost all beta radiation (dose equivalent), and doesn't seem to be aware of what's inside the leaky tanks (hardly any gamma nuclides). He also sees the Pacific Ocean boiling, or steaming. And it's all because of an underground fissioning, he says. The latest surge in radiation at Fukushima nuclear plant may suggest not only additional water leaks at the site, but could also mean fission is occurring outside the crippled reactor, explains Chris Busby from the European Committee on Radiation Risk. The increase in radiation reading is too significant to be blamed on random water leaks, believes Busby. RT: Just how serious is the situation now in Japan? Chris Busby: I think this is an indication that it has actually deteriorated significantly, very suddenly in the last week. What they are not saying and what is the missing piece of evidence here is that radiation suddenly cannot increase unless something happens and that something cannot be leakage from a tank, because gamma radiation goes straight through a tank. The tank has got very thin metal walls. These walls will only attenuate gamma radiation by 5 per cent, even when it is 1 cm thick. Although they may think this is a leak from the tank, and there may well be leaks from the tank, this sudden increase of 1.8 Sieverts per hour is an enormously big doze that can probably kill somebody in 2 to 4 hours. Today there was another leak found at 1.7 Sieverts per hour in more or less the same place. This huge radiation increase, in my mind means something going on outside the tanks, some radioactive fission is occurring, like an open air reactor, if you like, under the ground. RT: What impact will this have on the clean-up operation and those who are involved in that operation? CB: First of all it is clearly out of control and secondly no one can go anywhere near it. Nobody can go in to measure where these leaks are or do anything about them, because anybody who is to approach that sort of area would be dead quite quickly. They would be seriously harmed. I’ve seen a photograph taken from the air recently, in which the water in the Pacific Ocean is actually appearing to boil. Well, it is not boiling. You can see that it’s hot. Steam is coming off the surface. There is a fog condensing over the area of the ocean close to the reactors, which means that hot water is getting into the Pacific that means something is fissioning very close to the Pacific and it is not inside the reactors, it must be outside the reactors in my opinion. 1800 mSv/hr is not gamma radiation but beta radiation, expressed in 70 micrometer dose equivalent to show the effect on skin and eye lens, with effective dose 1/100 of that amount. It is not "sudden increase" in radiation. This waste water has that order of beta radiation all along, as evidenced by the measurement in the leak in February 2012. The water leaking is very high in all-beta including strontium but almost devoid of gamma nuclides including radioactive cesium, incapable of giving off gamma radiation to the tune of 1,800 mSv/hr. What's in the RO Waste Water at #Fukushima I Nuke Plant? Lots of all-beta (that includes strontium), tritium, but not so much cesium or gamma emitters. Water (filtered water + treated water) is injected into the reactors to cool the corium. Water gets highly contaminated with radioactive materials from the corium, accumulates in the basements of the reactor buildings and turbine buildings which are connected. Highly contaminated water get somewhat diluted by the groundwater seeping in (400 tonnes a day). The water is then transported from the turbine building basements to either Central Radioactive Waste Treatment Facility or High Temperature Incinerator Building, which have been converted to storage of contaminated water. From these buildings, the water is transported to Cesium Absorption Apparatus (which is currently Toshiba's SARRY only; Kurion's system has been off-line for a long time now, and AREVA's co-precipitation decontamination system is not used anymore). Most of radioactive cesium is removed by this process, from tens of thousands of becquerels per cubic centimeter to ND or close to ND. This water still contains high tritium and high all-beta. 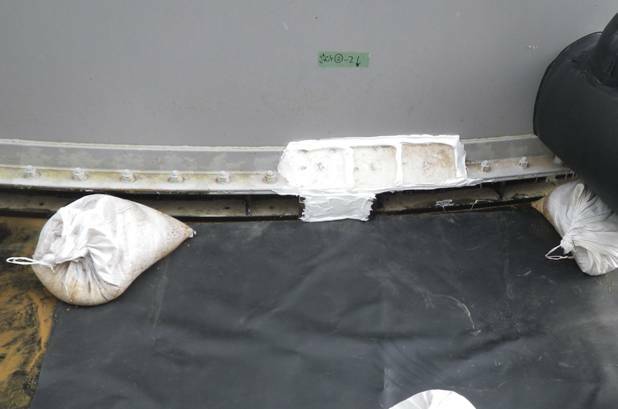 It also contains chloride, from the seawater injection in the early days of the accident in 2011. After being treated by Reverse Osmosis Apparatus, the water, though still high in tritium and containing all-beta (which cannot be removed at this point, as ALPS has been halted and there is no effective way to remove tritium), is mixed with filtered river water, and gets injected into the reactor. 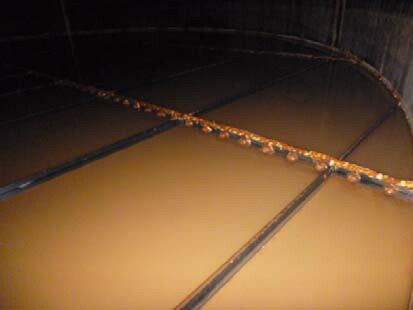 The waste water after reverse osmosis process, high in chloride and high in all-beta and tritium, is stored in the tanks (assembled metal tanks or welded tanks), and this is the water that is found leaking from the tank(s) this time. Hardly anyone paid attention back then, either to the high beta radiation or to the tank that was assembled instead of welded. In TEPCO's photo from February 3, 2012, you can see the packing in between the sheets up close. New York Times joined the bandwagon of "1,800 millisieverts/hour radiation that would kill in 4 hours" with the article by the Tokyo Bureau chief published on August 31, 2013. In addition, according to New York Times, it was TEPCO who said so. Well, TEPCO is refuting the reporting by the Japanese media of "1,800 millisieverts/hour radiation that would kill in 4 hours", and nowhere in the information TEPCO has made available (in the "email alert to the press" section and "handout for the press" section) does the company even indicate that. But that's not what "the newspaper of record" says. Nowhere does the article say the radiation is beta radiation, and that it is dose equivalent for skin and eye lens. TOKYO — A crisis over contaminated water at Japan’s stricken nuclear plant worsened on Saturday when the plant’s operator said it had detected high radiation levels near storage tanks, a finding that raised the possibility of additional leaks. The operator, Tokyo Electric Power Company, or Tepco, said it had found the high levels of radiation at four separate spots on the ground, near some of the hundreds of tanks used to store toxic water produced by makeshift efforts to cool the Fukushima Daiichi plant’s three damaged reactors. The highest reading was 1,800 millisieverts per hour, or enough to give a lethal dose in about four hours, Tepco said. Bloomberg News Japan, on the other hand, decided to have a Japanese professor at Kinki University declare "1,800 mSv/hour exposure for 4 hours will kill people in 30 days if untreated" in its article on September 2, 2013. I don't know if this article has been translated into English yet. Again, no mention of beta radiation or dose equivalent. Meanwhile, BBC Radio at least dropped the "lethal in 4 hours" part, and I just heard their news saying the 1,800 mSv/hr radiation is mostly beta radiation and with careful protection the workers could avoid most of exposure. The Guardian sticks to the meme and says "The plant's operator, Tokyo Electric Power (Tepco), said radiation near the bottom of the tank measured 1,800 millisieverts an hour – high enough to kill an exposed person in four hours." In the UK, "newspapers of record" are considered to be The Times and The Daily Telegraph. In my effort to distract myself from my temporary but extremely uncomfortable illness, I read news. What do I find? 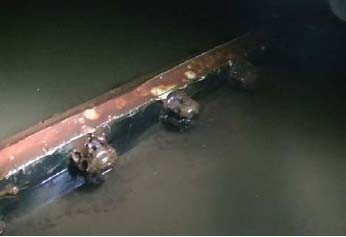 New RO waste water leak spots at Fukushima I Nuclear Power Plant and extremely sloppy reporting in Japan and elsewhere. Good to know nothing has changed in the past five days of my absence. Regarding the water leak from the tank that stores contaminated water at Fukushima I Nuclear Power Plant, TEPCO announced on August 31 that there are four locations with high radiation levels in the different areas where the same type of tanks are used. At two of the four locations, high radiation levels were detected before, but now the levels have gone up, with the maximum level of 1,800 millisieverts/hour. If one is exposed to this dose level for four hours continuously, one would die. The other two locations are new locations revealed this time. TEPCO says they "cannot deny the possibility of contaminated water leak at all four locations". 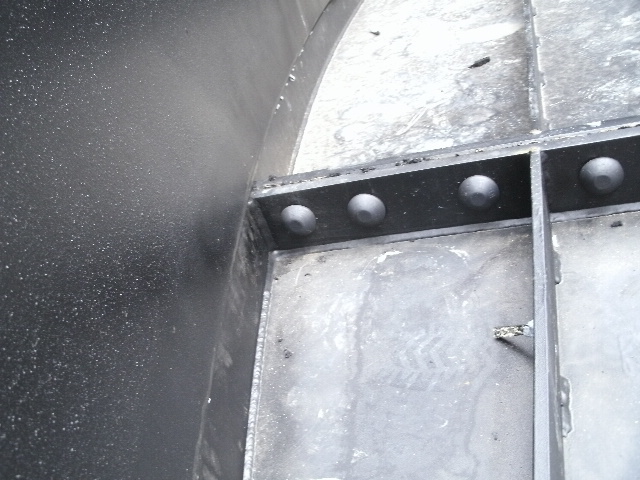 There are about 350 tanks of the same type that uses rubber packing in the joints. The safety concerns for these tanks will no doubt increase. A crisis situation continues in contaminated water storage. So what's wrong with this news, other than the fact that RO waste water leak is found at new locations and Jiji doesn't bother to tell the readers it is about RO waste water? It's "1,800 millisievert/hour radiation that would kill one in 4 hours of exposure". After nearly two and a half years of attending TEPCO's press conference, reporters in Japan seem almost willful these days to pretend they don't even know the difference between gamma radiation exposure and beta radiation exposure to make their news more sensational in competition with the foreign media and blogs. They seem to pretend not to know what dose equivalent is. The "1,800 millisieverts/hour that would kill a person in 4 hours" would be gamma radiation. In this case, RO waste water is extremely high in beta nuclides including strontium but not so much at all in gamma nuclides. You wouldn't die just by being near this water for four hours. 1,800 millisieverts/hour dose equivalent for skin would be 18 millisieverts/hour effective dose, as tissue weighing factor for skin is 0.01. TEPCO uses Ionization Chamber Type Survey Meters. According to TEPCO, 1,800 millisieverts/hour dose equivalent at 70 micrometer is almost all beta radiation, with only 1 millisievert/hour dose equivalent (at 1 centimeter) of gamma radiation. Almost all Japanese media (except one article at Asahi) glossed over the fact that this "1,800 millisieverts/hour" was dose equivalent to indicate the effect on skin, and they all screamed "it would kill people in 4 hours". Many Japanese readers (I sure hope not most) continue to trust what the media says about Fukushima I Nuke Plant as long as it is bad and catastrophic. Some of them immediately started to tweet and retweet, "Japan is finished, we all die!". Judging from retweets of my tweet about the type of contamination of this particular water, they may not even know that the water that leaked had high beta but not much gamma nuclides. 1,800 millisieverts/hour dose equivalent is still very high, as the annual limit for equivalent dose for skin is 500 millisieverts. The same for lens is 300 millisieverts. But to purposefully omit "dose equivalent" information from the original information from TEPCO and add sensational claim of killing one in four hours of exposure is another low for the media. It is amazing reporting, actually, considering many reporters who attend the TEPCO press conference are quite knowledgeable and ask tough questions. What would be the point of bothering to attend the press conference, if they end up writing sloppy, loose articles like the ones they've written?